We have many customers who are unable to get the full 80/20 VDSL bandwidth therefore use multiples of two VDSL or more circuits to achieve a higher download/upload speed. 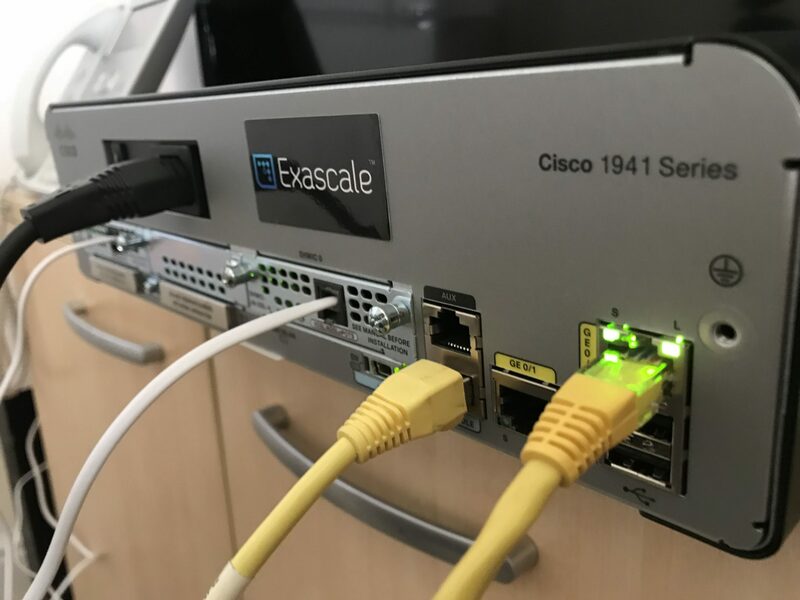 As Exascale has its own national IP network (AS61049) and Layer 2 Tunnel Protocol (L2TP) Network Servers (LNS) we’re able to enable PPP Multilink for our customers. PPP Multilink enables the bundling of PPP (Point to Point Protocol) sessions. We’ve lab tested the below configuration using both Cisco 1941, Cisco 2901 series routers using EHWIC-VA-DSL-A line cards.